Kadamba Technologies Walk-in Recruitment 2017-2018 for Various MS SQL Developer Posts, Jobs Application Form Download at (www.kadamba.com). The Interested candidates will have to before Walk in Interview carefully reading the advertisement regarding the process of examinations and interview, Qualification, Offline registration processes, payment of prescribed application fee/intimation charges Walk in Date, Time, Venue etc are Given Below. 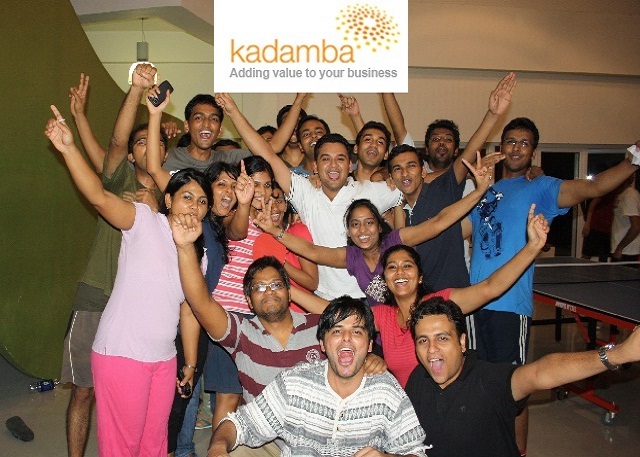 Kadamba Technologies walk-in in Chennai - Apply Now. Kadamba Technologies is a product and services company providing cost-effective end-to-end solutions that are of high quality based on integrated IT and BPO services through practical application of software and technology. We focus on ensuring that our product or service adds considerable value to our customer's business. Kadamba looks to set standards in the industry and be a forerunner in its domains of operation. Writing Queries for Front End Applications(Website and Desktop Applications). Preparing Reports to get Data from Database as per Requirements. Reviewing Queries and Performing and Optimizing code in SQL Statements. Creating Database triggers for Automation. Resolve end users problem through proper communication with IT and Operations Team. Strong at writing and Modify Stored Procedures. Ready to work in Week ends or Shifts if Required. Knowledge in Sports like Cricket, Hockey, Kabbadi would be an added Advantage.